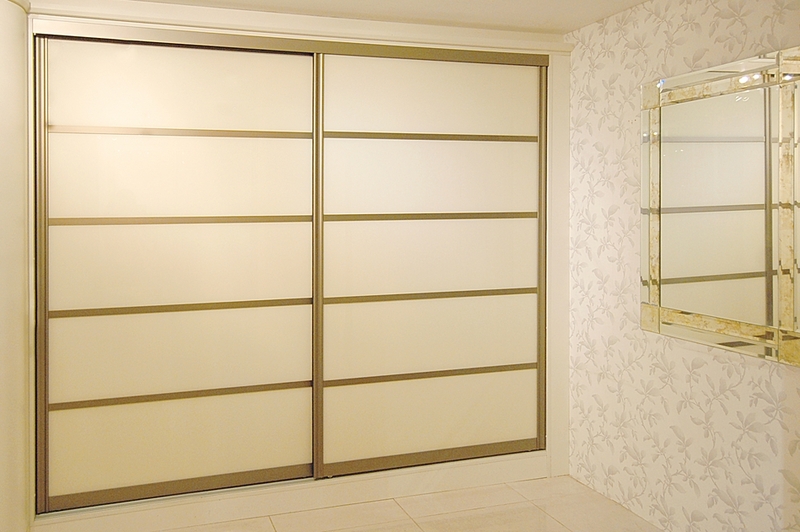 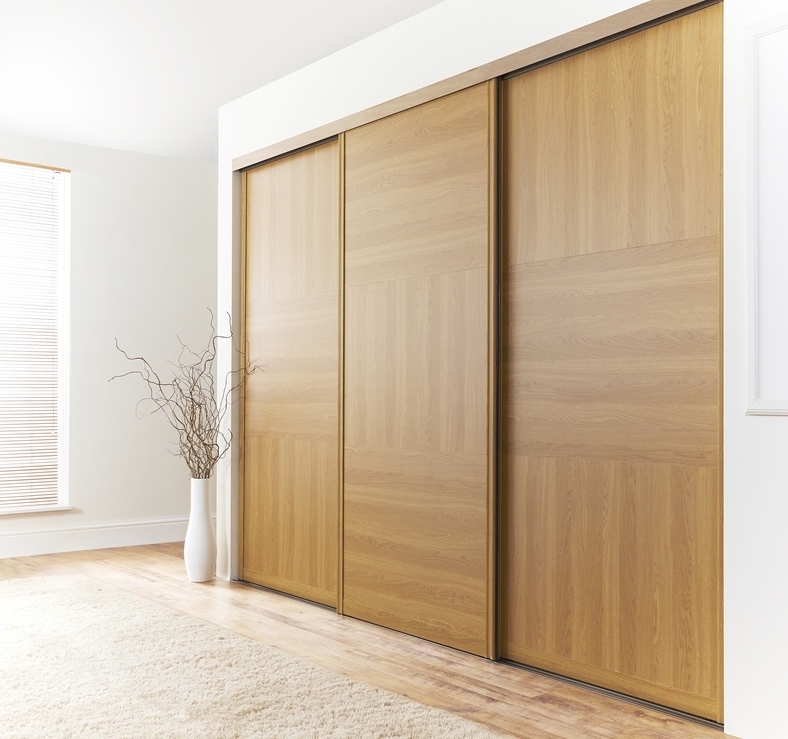 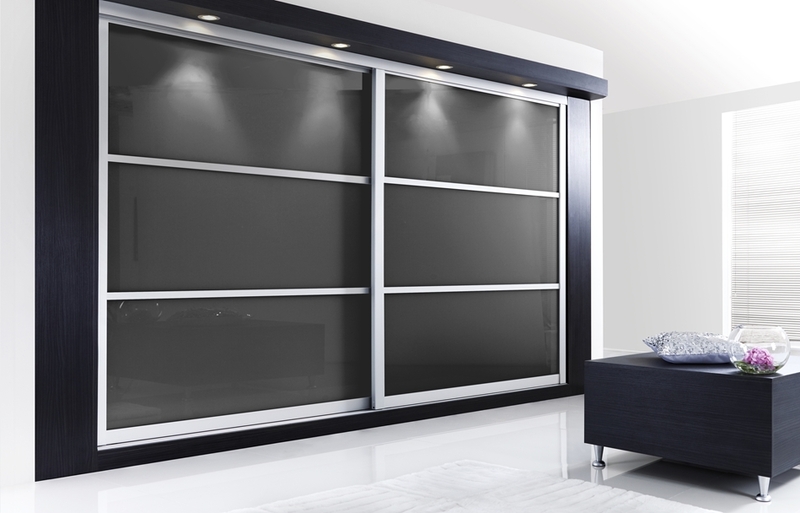 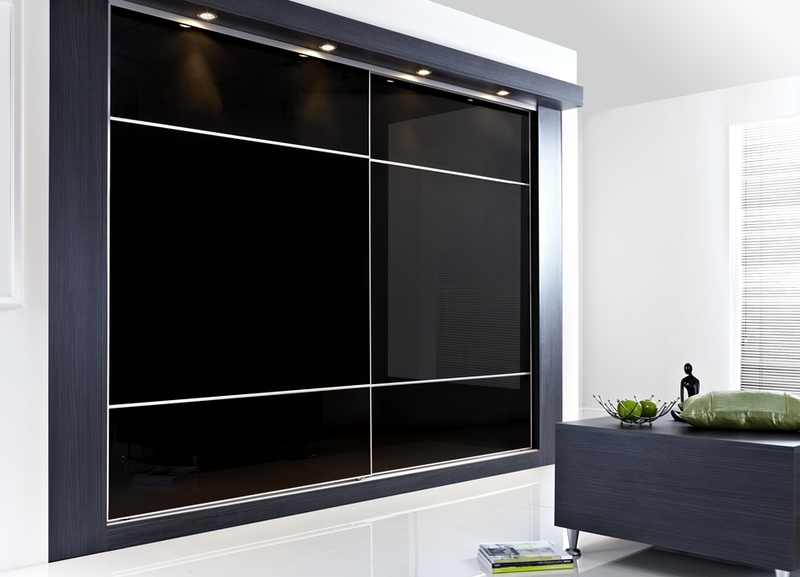 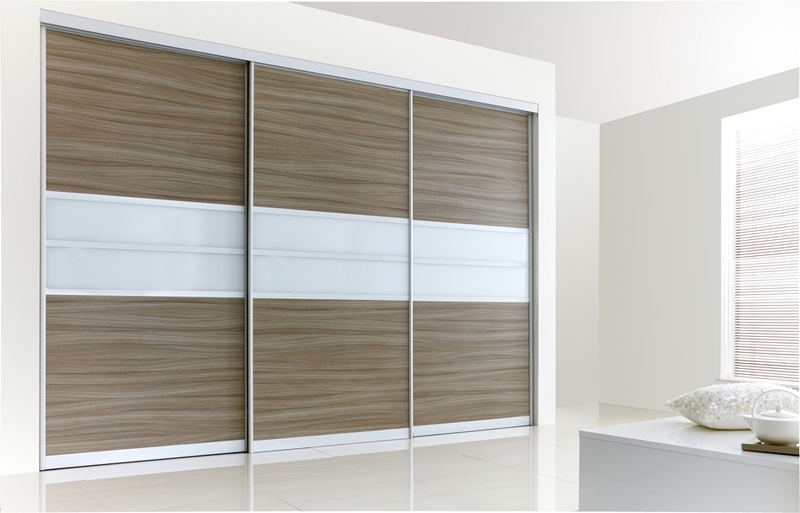 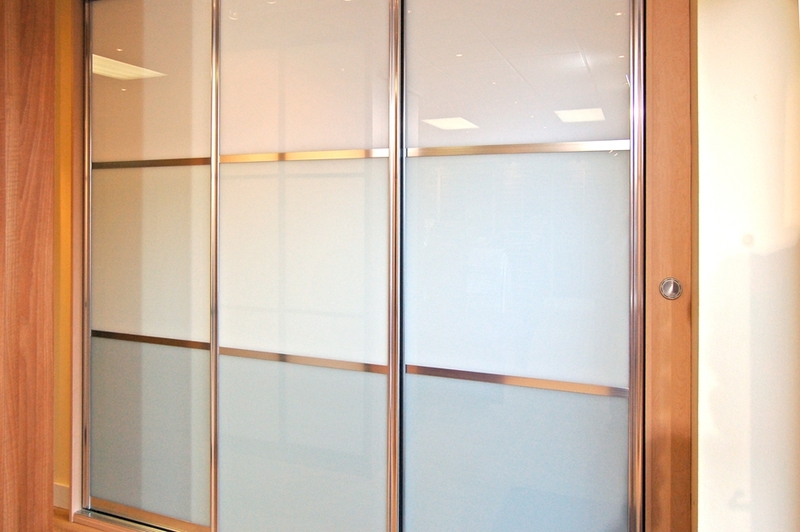 Another option available for clients are our made to measure sliding wardrobe doors. 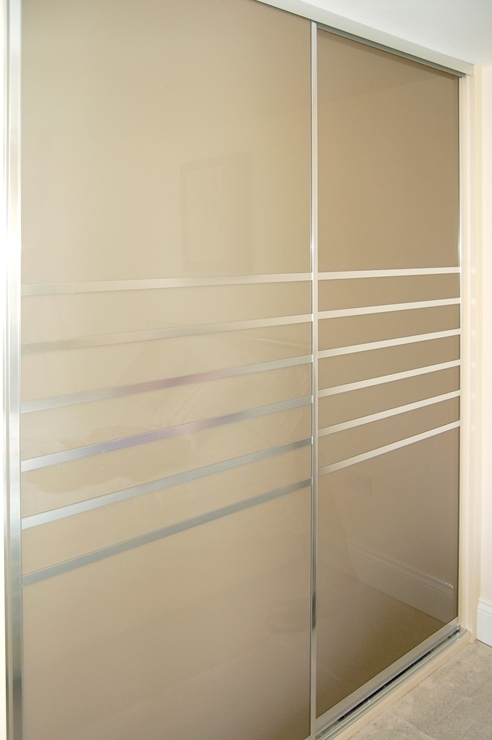 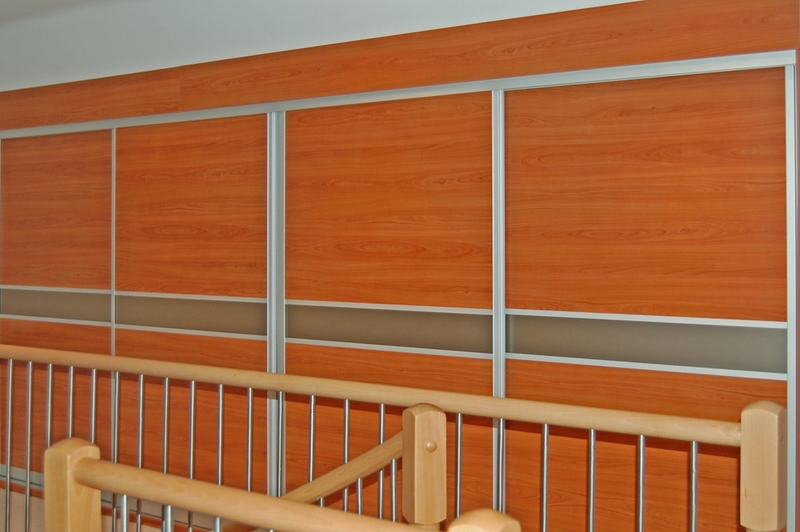 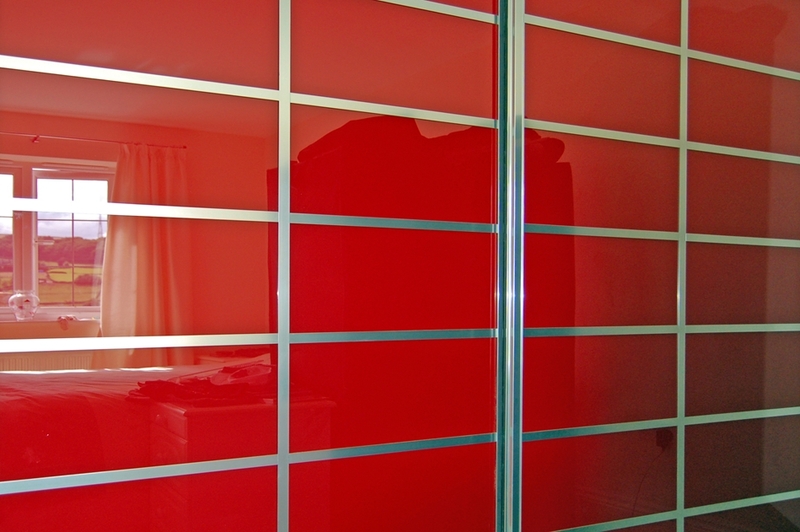 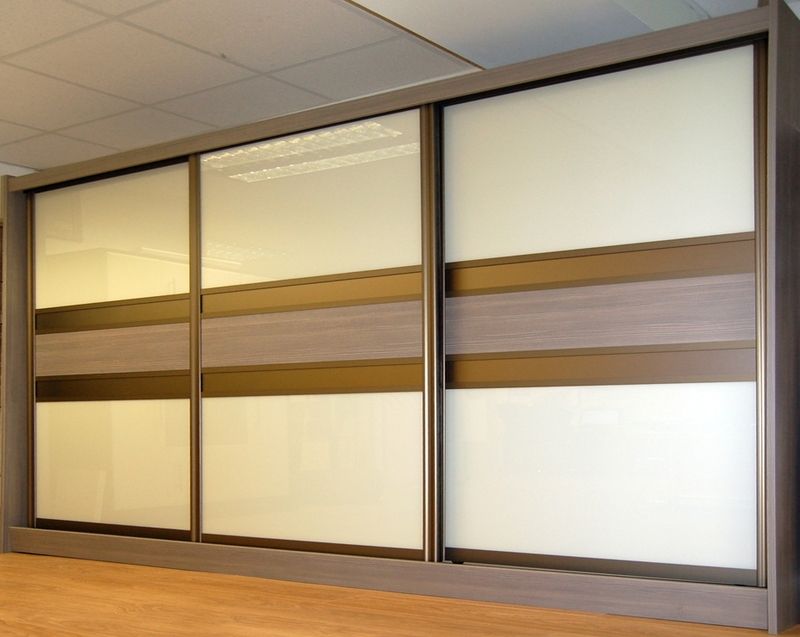 These are available in an extensive range of stunning plain colour glass, patterned glass and sparky effect glass, silver or bronzed mirror and many plain and woodgrain effect laminated materials with all glass material safety backed and crossbars positioned as required. 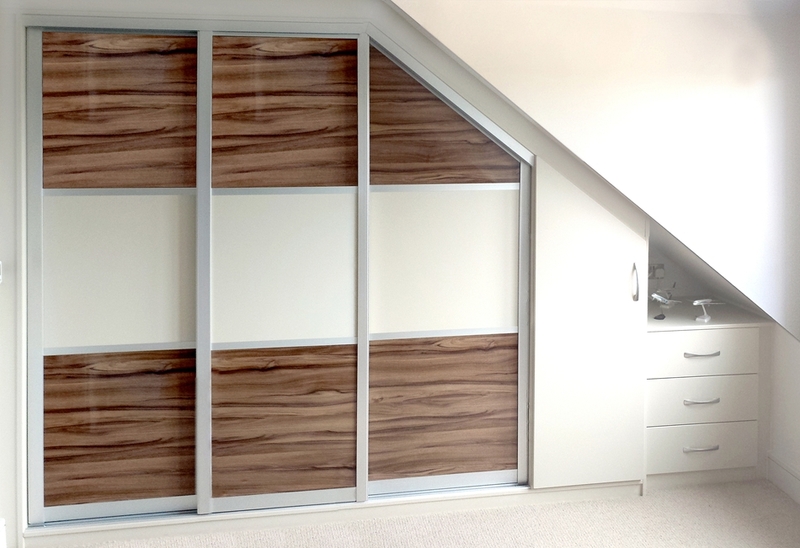 All of the available materials can be mixed and match to create the desired room set effect and can even be manufactured to be double sided for a kitchen and dining room divider. 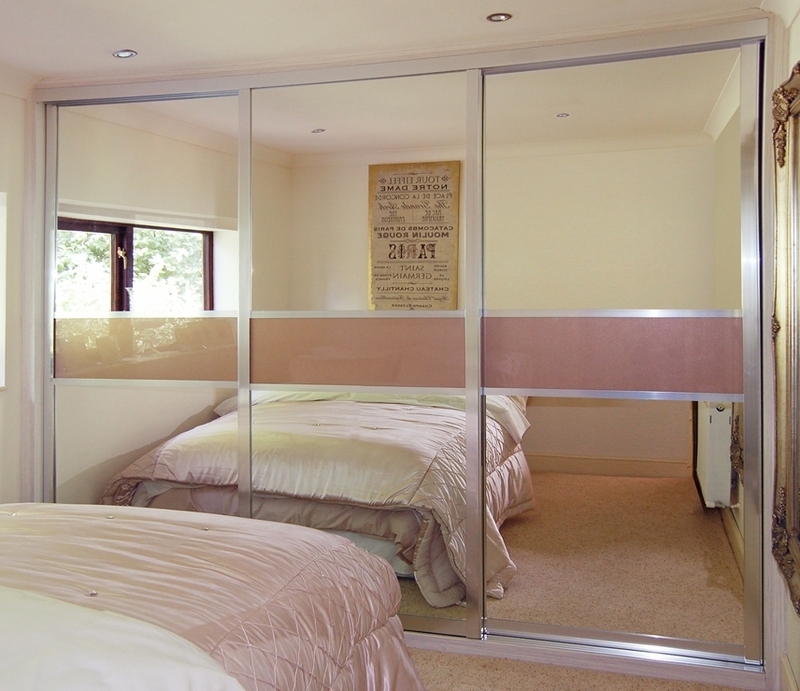 Differently designed and finished frames can be used and angled doors are possible. 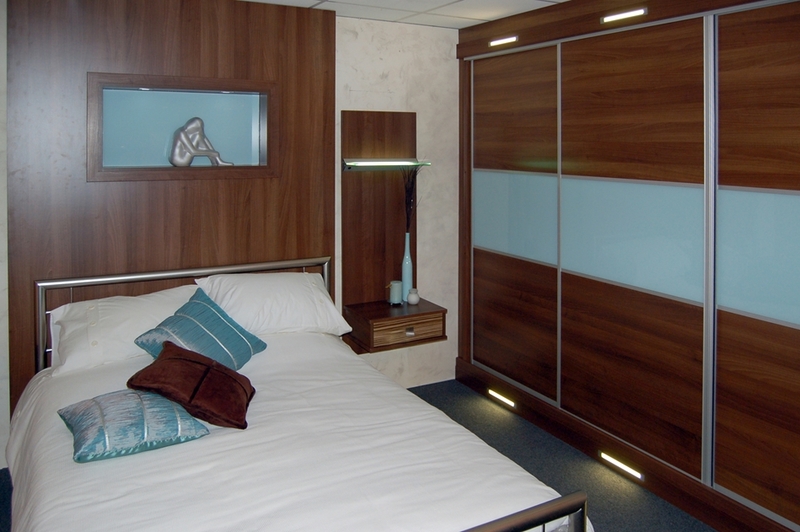 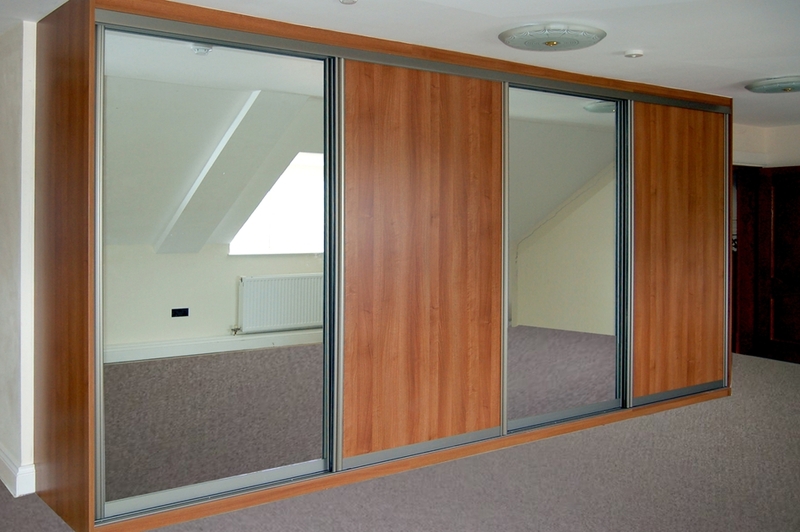 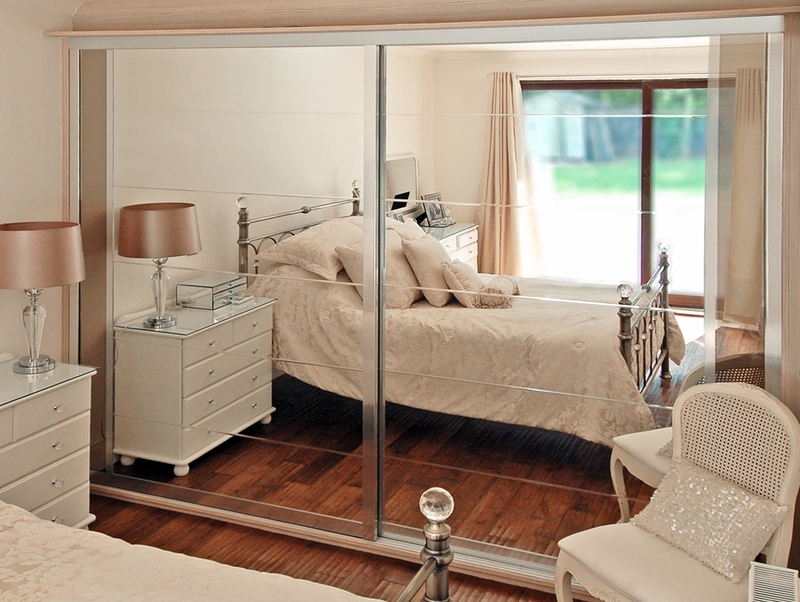 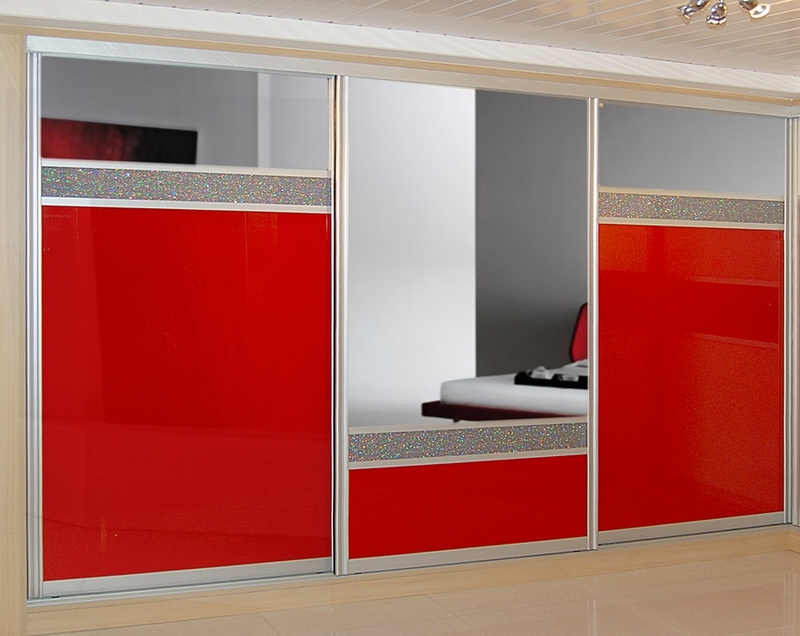 The sliding doors can even have soft closing devices fitted to them for that extra touch of luxury. 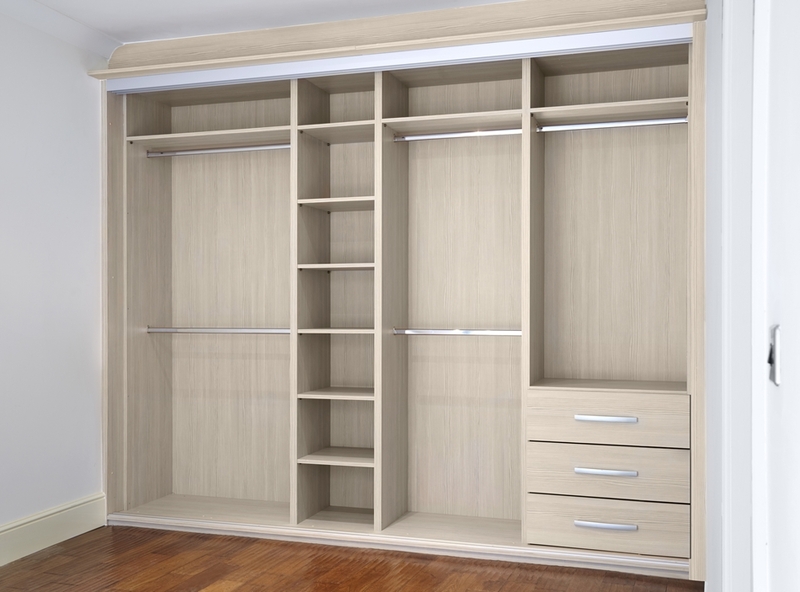 Matching low line cupboards, drawers and shelving can be made and a whole host of internal fittings are also available. 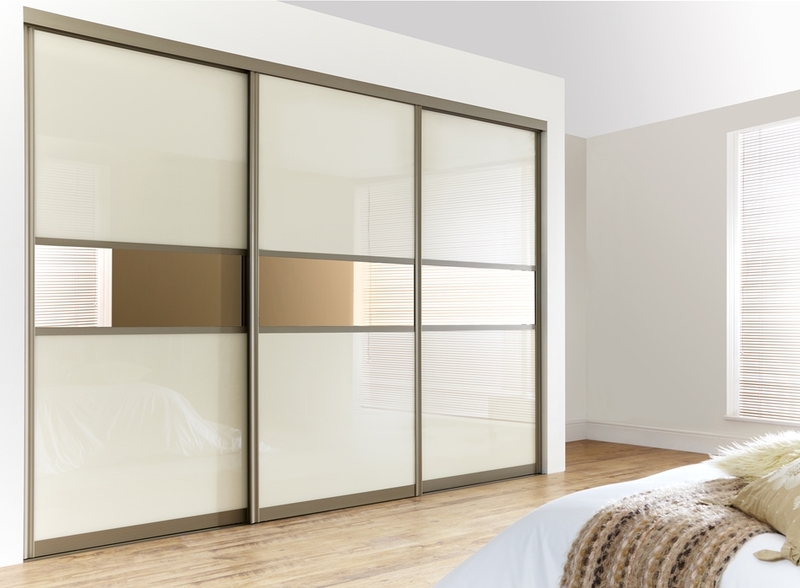 Just wanted to say how pleased we are with our new wardrobes. 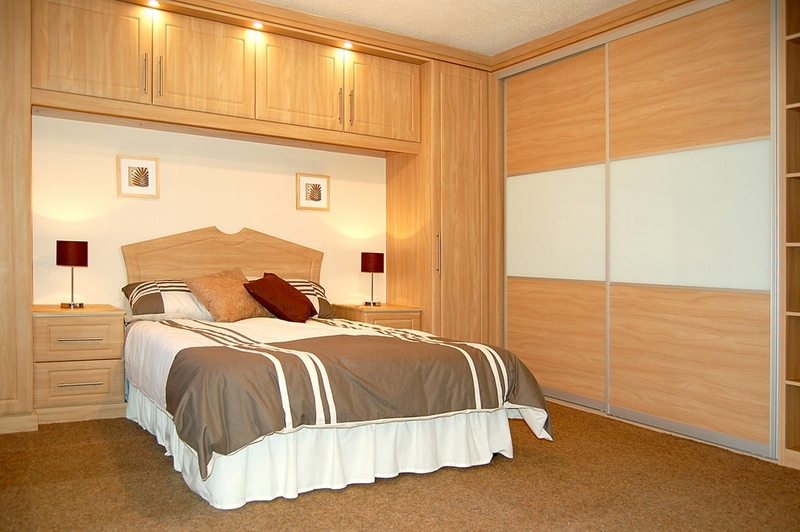 It`s so nice to have modern furniture in the bedroom with so much storage space.